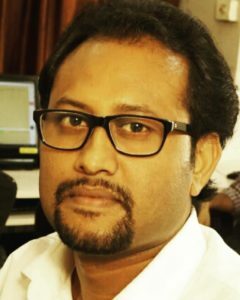 Hi, I’m Rintu Biswas, a freelancer SEO expert in Kolkata. Do you want higher Google rankings and more traffic? To know about our SEO packages for freelance SEO services in Kolkata, contact me NOW! I have been working as an SEO expert in Kolkata since 2011. I love SEO so much that I eat SEO, drink SEO and sleep SEO. (Ranking may fluctuate over time, it’s natural). Sorry, I am interrupting with our course details here. 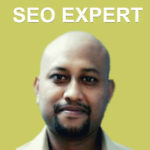 As a freelance SEO consultant in Kolkata I like to do lots of experiment in Search Engine Optimization. I know lots of high-quality link building strategies that very few people know about. …And I love my clients as well. There are thousands of local, small and big business owners launching their websites to make a successful business online. Big businesses often get HUGE success due to their big budget and strong networks. They promote their website through various online and offline channels all the time. But what about the small businesses? Small online business owners face lots of trouble to stand out in today’s crowded internet due to their low budget. So, what’s the right channel? Call us now for the 100% quality freelance local SEO services in Kolkata. Why Should I Hire an SEO expert in Kolkata for My Business? If people need any information where do they search online? We all know that Google is the world’s biggest search engine. 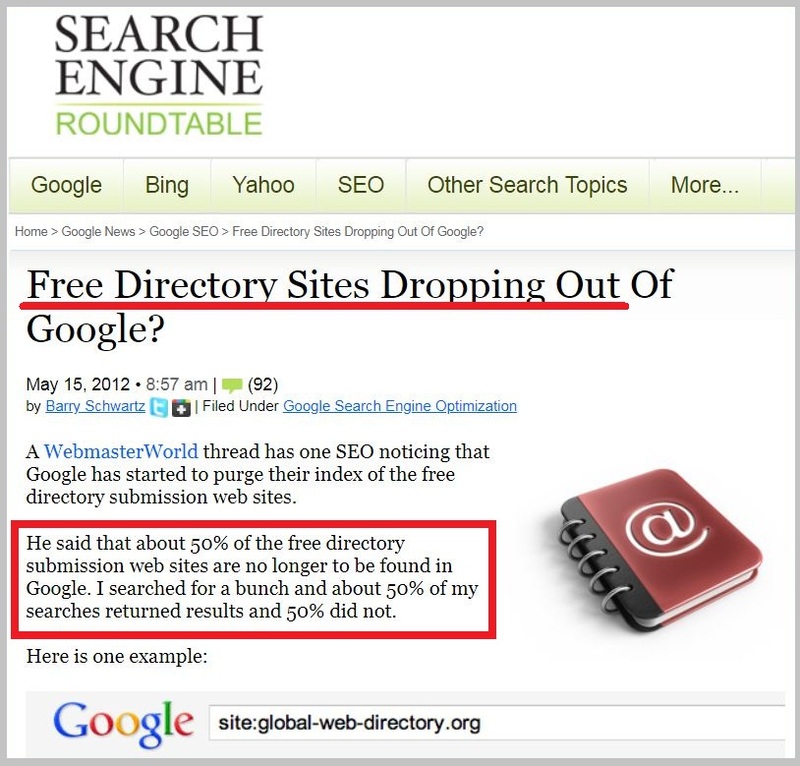 Search engines (Google) will provide targeted traffic to your website. If your business is about “dental clinic”, your potential customers will search for it on Google. If your website isn’t taking advantage of SEO, Google will not be able to rank your website on the first page and thus you will miss lots of potential customers. But, your competitors will catch them as they are utilizing the power of SEO. The truth is this: 75% people don’t scroll beyond Google’s first page. People do trust Google a lot. If people find a website ranking on the first page of Google they think it’s a quality website. SEO freelancer in Kolkata from Digital SEO Land will make this happen. 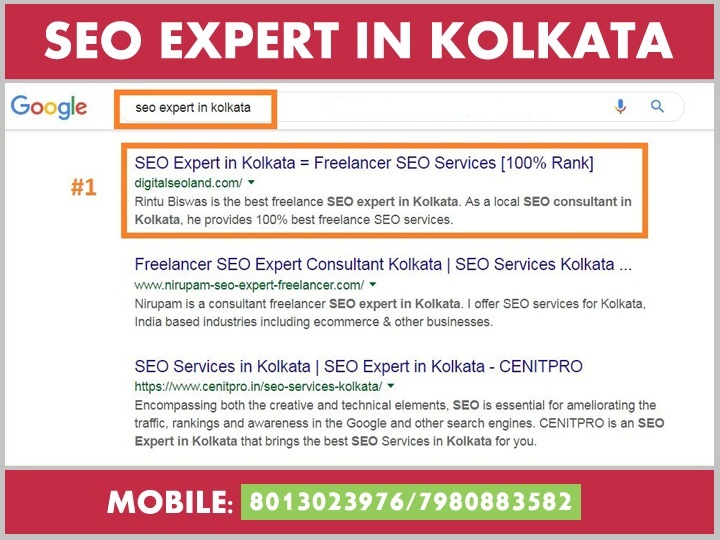 Rintu Biswas a freelance SEO expert in Kolkata and his local SEO experts team will rank your website on the first page of Google within a few months. Using 100% white hat SEO. If you are looking to hire a dedicated SEO expert in Kolkata, contact us today. 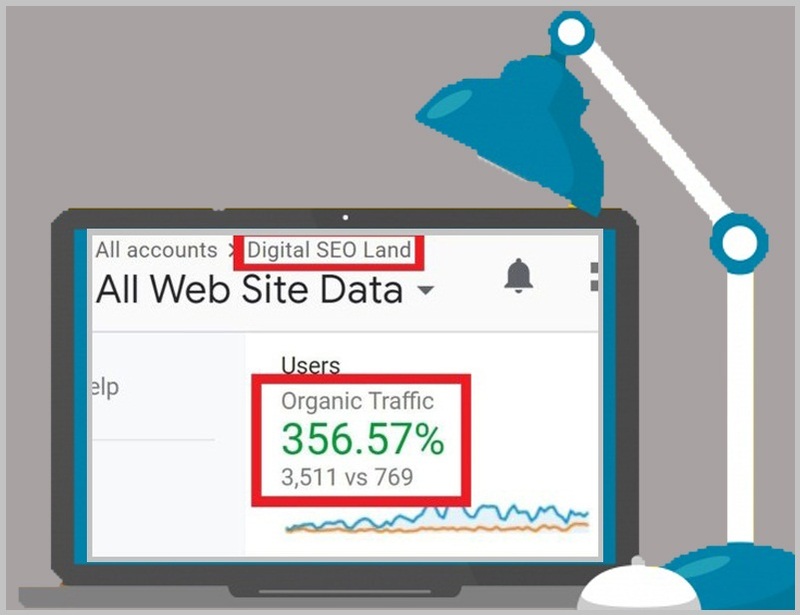 Why Should I hire Digital SEO Land’s SEO professionals? You should hire our freelance SEO specialist in Kolkata as we do 100% white hat SEO (I have mentioned earlier). We strictly follow Google’s guidelines. There are several SEO agencies (not all, I’m talking about a few agencies) out there who are doing black hat SEO to rank their client’s website in Google. They still doing mass directory submissions, article submissions to rank a website. These are pure examples of BLACK HAT SEO. Google doesn’t give any value of these low quality off page SEO tactics. These low-quality SEO tactics can make your website a Google Penguin food. Fortunately, our SEO experts in Kolkata don’t do this. As an SEO expert in Kolkata, I and my team never do these garbage off page SEO. We are not here to make our client fool. We are here to make our client profitable by ranking their website in Google. If you are looking for a freelance SEO consultant in Kolkata for your small business, trust me you will love our local SEO services. We will make a FREE SEO AUDIT REPORT of your website. We will build quality backlinks. Your website will rank within a few months. As an SEO freelancer in Kolkata, I will be honest with you. Search Engine Optimization (SEO) takes time. If you don’t have patience, SEO is not for you. Give us at least 4 months, you will see your website is ranking well on Google. So, if you have decided to hire me as an SEO expert Kolkata doesn’t hesitate to call me @ 8013023976. My smartphone is not ringing! No problem, take your time, make your decision. Contact us today to know about our affordable SEO packages for freelance SEO services in Kolkata. 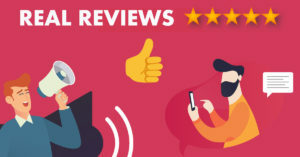 Best Freelancer SEO Expert in Kolkata [100% Google Ranking] using whitehat SEO.